Chris Haynes-Brown has worked at the Environment Agency for 20 years and is currently employed as deputy director of finance. Chris started fishing aged 10 and has enjoyed coarse, game and saltwater fishing ever since. I’ve worked for the Environment Agency for over 20 years, working across several departments and most recently in finance. I started working here because of my love for the outdoors, in particular fishing. I believe in what we do and I love what we deliver. 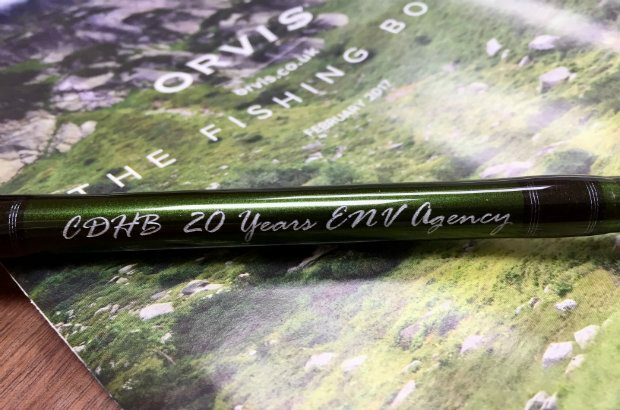 I recently received my 20 years’ service award and I marked the occasion with a new engraved fly rod! 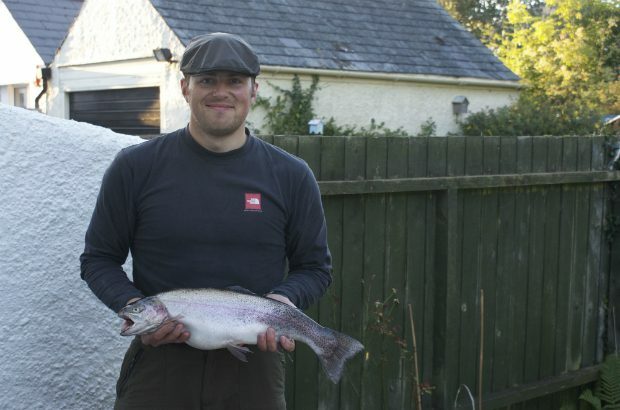 I started fishing when I was around 10 years old on a canal in my home town of Ulverston in Cumbria. I loved it from the off. I remember catching my first perch, carp, jack pike. . . the list goes on! With an increasing appetite to try fishing elsewhere, I quickly progressed to fishing for trout in lakes and streams across the Lake District. Over the years I’ve tried most types of fishing across coarse, game and saltwater. If I had to pick a favourite it’d probably be fly fishing. Last year I was given a book called 50 Fish to Catch Before You Die. I’m at 17 out of the 50 and it’s inspired me to plan some trips abroad to start upping my ratio! Fishing is a great sport that really gets under your skin. It is full of variety and opportunity and the challenges around catching are captivating, particularly with the wily fish. It’s a sport that is synonymous with the outdoors and of being amongst the elements more often than not in amazing scenery with wildlife all around you. Early morning starts in my day job to catch the first train out of Plymouth can become a chore but it’s never a chore to get up for dawn on the water! I’ve always found fishing relaxing, over recent years I’ve come to realise that it works as a great ‘brain reset’ for me. When the going gets tough in life I’ve grown to appreciate that a day away from everything is not only good for the soul, it’s great for my mental wellbeing. 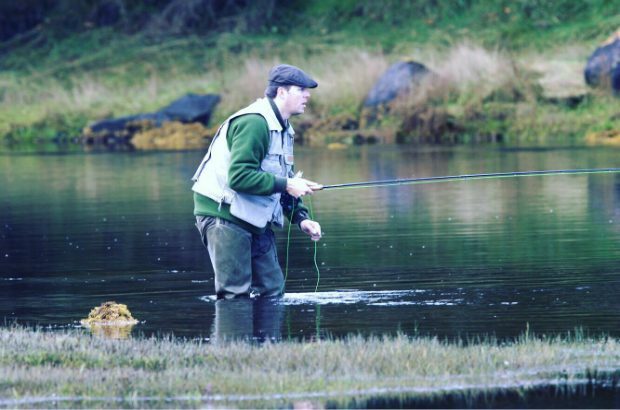 My favourite fishing memory is probably catching my first sea trout very early one morning on a river on the Isle of Mull while an otter fed just upstream. But for humour and because my team have badgered me to share it, it has to be the time I caught a snapping turtle whilst fishing for catfish in Virginia Beach. I was fishing on a pontoon at the bottom of a friend’s garden, nothing had happened for hours and out of nowhere the line started streaming. I soon realised something wasn’t right and when I eventually got it close I could see it was a large turtle. When I reached down to lift it up to the pontoon, it turned around and as I was holding onto the line it pulled me into the water! I'd love to get a job in the envoirmeny agency ? How did u Start? To Chris Haynes-Brown.I am secretary of Poole Dolphins Sea Angling Club in Poole Dorset. Recently the R.S.P.C.A have released at least four seals if not more into Poole Harbour. A Bass nursery area,a well known Flounder fishery and also a Salmon and Sea Trout access to the rivers above Wareham.The river Frome and the river Piddle. We are trying to find people ,oganisations, or agency's who can put pressure on the R.S.P.C.A. to have these seals removed and returned to thier original colonies. If these seals remain in Poole Harbour they will desimate the fishery. My thanks for any assistance you can give.